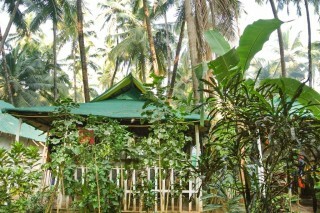 Located on the lively Agonda Beach, this bamboo cottage is simple but spacious. Suitable accommodation for youngsters and beach bums, the bedroom is furnished with a compact double bed and a multi-utility vanity cabinet. 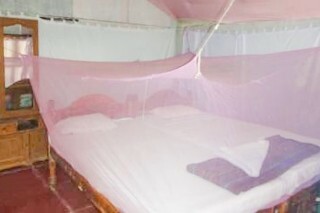 A sheer canopy for protection from bugs hangs over the bed. 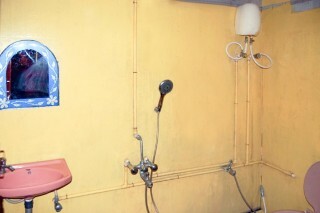 The attached bathroom simply provides basic amenities such as running hot water and modern sanitary ware. 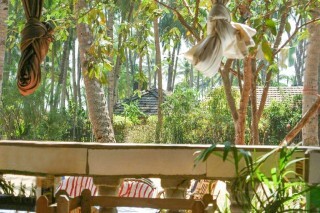 During sunny afternoons, lay out a couple chairs under the cool shade of coconut drupes or your private porch and snooze away. 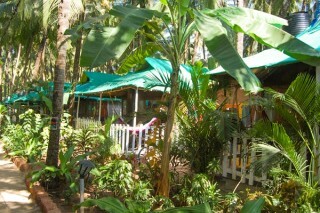 Ample beach shacks and restaurants that serve local delicacies and numerous cuisines are located within a quick walking distance. 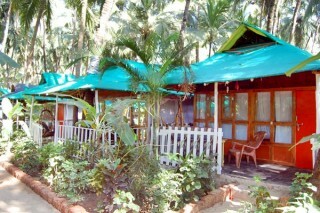 A cozy cottage near to the beach is being extended to the guests inclusive of all the essential amenities needed for a stay. It's an ideal place for the budget travellers who are looking for an inexpensive stay near to the hustle bustle yet maintain a certain sense of privacy and seclusion. 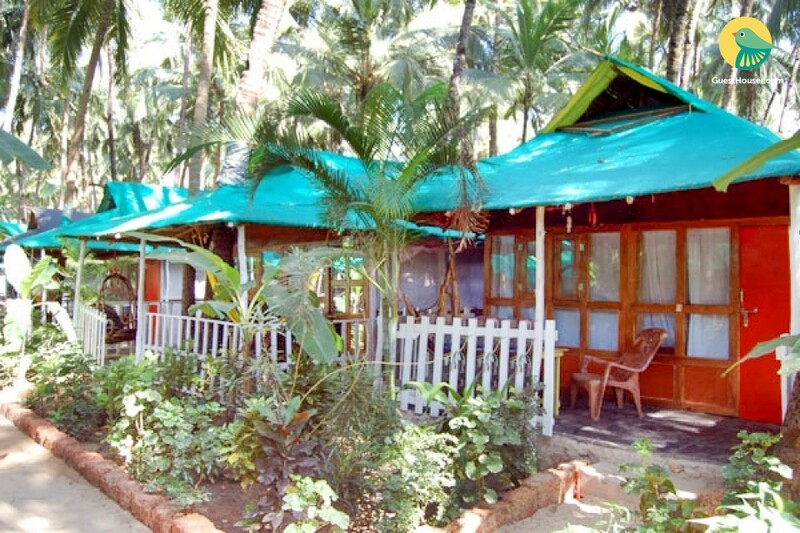 This cottage comprises of a comfy wooden bed with mushy mattress for a sound sleep of the guests.A mosquito net is also provided in this vibrant cottage for a protective and uninterrupted slumber. Additional furniture includes a wooden console and a mirror, kept in the room for the convenience of the guests. A cable tv and wi-fi facility are arranged by the host for their entertainment. It comes with an ensuite bathroom fitted with modern fixtures for an easeful stay. Guests can enjoy the blissful garden view from the porch with a seating area.There are double beds in the room with an attached bathroom.